With plastic card printing from Computerforms, you never have to compromise. 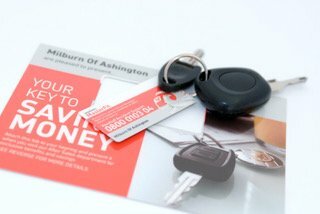 We only ever produce our plastic cards using premium quality materials and bring them to our customers at fantastically low prices. 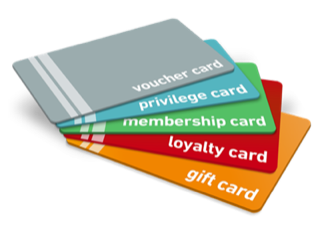 Whether it’s plastic business cards, Durable Gift Vouchers, plastic loyalty and memberships cards or plastic key tags cards and snap-offs you’re looking for. Sequential numbering can be applied to cards in ascending or descending order, starting from any number you choose. Each card is given an individual number for identification purposes, and this is printed flat to the card (not embossed). If you have a preference regarding what number your sequential digits start from, please specify this in the ‘Additional Information’ section when placing your order. Signature panels can be applied to the front of the cards, the reverse of the card, or to both sides of the card, depending on which option you require. Whichever side of the card you choose, Computerforms can apply up to seven signature strips to that side. We can personalise your plastic cards with specific information on each card. You may want to include a individual’s name on each card, or a host of information if you’re purchasing plastic identification cards or event passes. Simply supply a spreadsheet (xls or csv) containing all the information fields you would like. Computerforms offer a range of hole punching style as optional extras. The ‘Hole Punching’ option is a standard 5mm circular hole punch. The ‘Slot Punch’ option is a longer, oval slot shape that is suitable for visitor passes and lanyards. Spot UV varnish is a great way to make an impact with your plastic cards and highlight specific areas of your design. A spot UV varnish coating can be applied to cards with a matt finish only. You can have any type of barcode or QR code, in any position. Just let us know your exact requirements. We have various weights and material options available. Depending on the type of card you choose, we have a range of card finish options for you to choose from, including our new Antimicrobial Gloss and Antimicrobial Matt finishes.